Older Americans Month celebrates the difference that older adults make in our communities and this year’s theme is “Engage at Every Age.” Working with older adults to improve the quality of care and quality of life is central to the Center’s mission. Older adults bring a powerful and essential voice for improving health care programs and policies, and ensuring better health for all. Learn about ways in which the health care system can and should be “age-friendly,” by focusing on the “4Ms”: what matters to patients, medication, mental activity and mobility. If you’re interested in working with your hospital or doctor’s office to make it more “age-friendly,” please let us know – we’d love to hear from you. 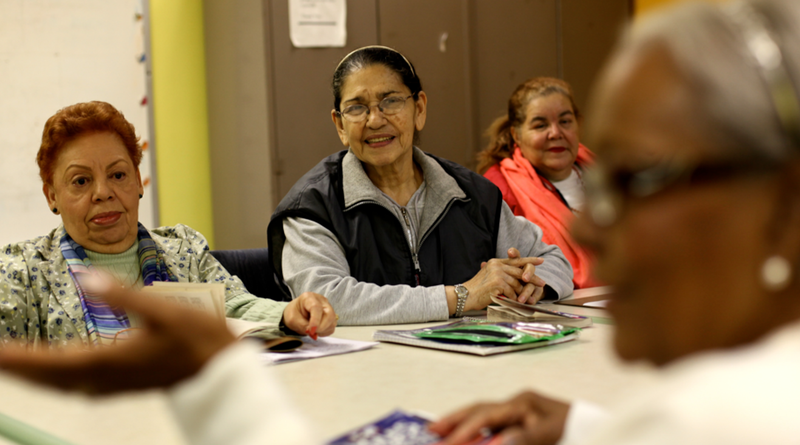 Read this article by Center Senior Advisor Carol Regan, Project Manager and Senior Policy Analyst Leena Sharma and Community Catalyst Founder and President Kate Villers on how older adults have organized over the decades to bring about important safety net policies. The article describes the challenges and possibilities today for organizing older adults to advance progressive social policy. Sign up for POLITICO and AARP’s new series, “The Deciders.” This series promises to bring polling, data and journalism to help understand American voters 50 and older and their potential impact on the 2018 midterm elections. Go see the documentary about Supreme Court Justice Ruth Bader Ginsburg (the Notorious R.B.G), who at age 85 is enjoying her newfound role as cultural icon. And, if you dare, give her workout a try. Need a little more motivation? Read my article about how volunteering and engaging in your community can be good for your health. Finally, do you know an older adult who deserves to be recognized for his or her efforts to improve their own health and the health of others? Nominate an older adult for our Speak Up For Better Health Award! How are you honoring Older Americans Month (#OAM18)? Tweet us at @CCEHI.